Facility managers have a role to play with innovations for increasing throughput. Distribution centers and warehouses are the new brick-and-mortar for online retailers to store and distribute their goods to intermediary and end-user customers. Previously, when capacity was tight, distribution centers focused on increasing density. But now, the goal is to relentlessly improve throughput. In this internet-based economy, warehouses and distribution centers have become the retail engines. Processes and innovative technologies to improve throughput may enable distribution centers and warehouses to be eligible for federal and state R&D tax credits. The shortage of manual labor in the transportation, logistics, and distribution industry — primarily due to the back-breaking nature of warehouse work, where workers have to lift heavy loads in the packaging and fulfillment processes — has also driven the use of applicable innovative technology. To begin to understand the investment in technology, XPO Logistics, one of the world's ten largest providers of transportation and logistics services, is now committing $400 million per year to transportation, logistics, and distribution innovation. In 2017 alone, it is estimated that Amazon spent approximately $27 billion on innovation. A shining example of investment in future transportation, logistics, and distribution innovation is the J.B. Hunt On The Hill center at the University of Arkansas. J.B. Hunt Transport Services operates more than 10,000 trucks and 40,000 trailers and containers and has more than $2 billion in revenues. The J.B. Hunt On The Hill center helps students gain real-world experience in the transportation and logistics industry, providing opportunities for business, engineering, and other students to acquire hands-on learning that they otherwise may not have had. Throughout the country, facility managers and warehouse operations managers are working endlessly to increase innovation initiatives. The innovation and investment in technology presently involved in transportation, logistics, and distribution makes companies in this industry eligible for R&D tax credit incentives. 1. Must be technological in nature. 2. Must be a component of the taxpayer’s business. 3. Must represent R&D in the experimental sense and generally includes all such costs related to the development or improvement of a product or process. 4. Must eliminate uncertainty through a process of experimentation that considers one or more alternatives. On December 18, 2015, President Obama signed the PATH Act, making the R&D Tax Credit permanent. Beginning in 2016, the R&D credit can be used to offset alternative minimum tax for companies with revenue below $50 million, and startup businesses can obtain up to $250,000 per year in payroll tax cash rebates. In the late 1990s, Federal Express incurred large expenses developing internal use software related to package tracking. It has always been understood that internal software R&D tax claims had to be a bit more innovative, involve some more economic risk, and not be available off the shelf. The IRS challenged the FedEx claim asserting that internal software claims "had to be unique or novel, had to be as significant and inventive as prior software based on new regulations." The court, however, disagreed with the IRS’ approach and allowed Federal Express to take the R&D tax credit. In recent years, software has become much more integral to the U.S. economy, and the FedEx case highlights how the entire transportation, logistics, and distribution industry is no different. It became clear that the transportation, logistics, and distribution industry can be entitled to R&D tax credits thanks to Federal Express winning this important tax case. One example of the new and improved technologies that companies in the transportation, logistics, and distribution industry are taking advantage of is software-based warehouse management systems. 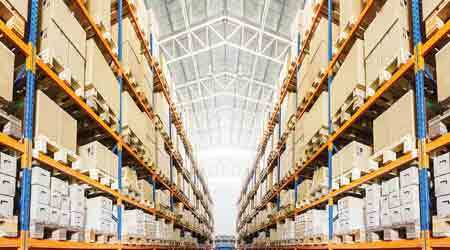 Warehouse management systems are increasingly being used by larger warehouses and distribution centers. For most companies involved in transportation, logistics, and distribution, warehouses represent substantial cost centers and are key strategic assets, as warehouses are also where internet-based customer promises are actually fulfilled. Warehouse management systems utilize real-time transaction processing, optimized storage and selection strategies, directed task management, and integrated labor standards to maximize labor efficiency, reduce obsolescence, and leverage available capacities. Warehouse management systems optimize customer service by coordinating the digital transition via current functionality, innovative automation, and focusing on configuring the warehouse framework to encourage testing and experimentation. In an unpredictable world, consistency is critical, and a warehouse management system is a cost-controlled, customer-centric means of achieving consistent, predictable results. 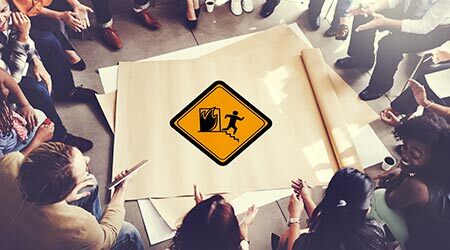 Among the typical warehouse management systems software modules are two that facilities management is involved with: warehouse design, and yard and dock management.